Juno Kughler Carlson writes for the Girl Scouts of San Gorgonio Blog about the "I CARE" program, which allows people to purchase Girl Scout cookies as gifts to be donated to our deployed military. This year Girl Scouts of San Gorgonio collected a total of 107,000 boxes of cookie donations to be shipped to deployed military through Operation Gratitude--the largest single donation from any organization ever! The recently received this thank you note from an Army Major to Girl Scout Troop 1247. 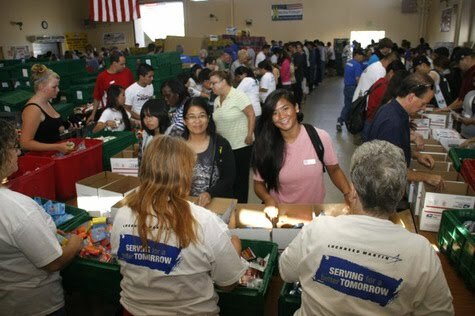 The troop had loaded up 4,000 boxes of the "I Care" cookie donations over Memorial Day and traveled to the VanNuys Armory to assist Operation Gratitude with care packages for deployed soldiers. The girls wrote many letters & helped assemble the boxes to be shipped out.